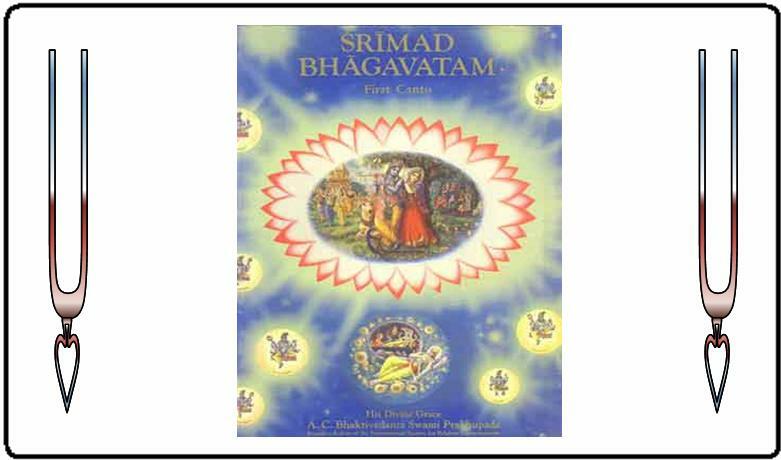 The Bhagavata Purana, also known as the Srimad Bhagavatam, is considered to be the “ripe tree of Vedic literature.” The Srimad Bhagavatam is the most unique and transcendental literature for a devotee to study. This lengthy book written by Vyasadeva contains the glories of devotional service, known as bhakti. In Kali Yuga, only through devotional service and chanting the Lord’s name in love is the only way to be freed from the clutches of the sinful nature of Kali Yuga. The advent of the Bhagavatam came about when Vyasadeva was disappointed. He had compiled the five main Vedas, named Rg Veda, Artharva Veda, Sama Veda, and Yajura Veda. He also compiled the Upanisadas, Smrtis, Vedic commentaries and conversations, and the Mahabharata, which is considered the fifth Veda. Even though he compiled and penned the Vedas, he was still dissatisfied. At that juncture, Narada Muni counseled Vyasadeva. Narada Muni reminded Vyasadeva that the reason why he was not happy was that he didn’t write literature glorifying the Lord and His glories. Even though Mahabharata had some of Krsna’s glories, Mahabharata can be misused in Kali Yuga justifying violence for selfish motives. In addition, the conclusion of the Mahabharata is destruction. How can one be satisfied with such a conclusion? Being inspired, Narada Muni chanted the Srimad Bhagavatam to Vyasadeva who wrote it down. The prelude of the Bhagavatam, as shown in the first Canto, describes King Pariksita, the grandson of Arjuna, being cursed by a brahmana boy to be bitten by a venomous snake in seven days. In fear of impending death, he surrendered to Sukadeva Goswami, the son of Vyasadeva, and listened to his narration of the Bhagavatam. Except for the first three verses, the primary narrator of the Bhagavatam is Suta Goswami. His first story is how Pariksita was cursed and how Sukadeva narrates the Srimad Bhagavatam in seven days. From there, the actual contents of the Bhagavata Purana are discussed. The Bhagavatam contains twelve cantos describing different pastimes and incarnations of the Lord and His devotees.